The past 20 years has represented an exciting journey for Gary Ho from his first takeaway in Oldham, Greater Manchester to his present concept of "Blue Ginger", the premier provider of not only Chinese and Thai cuisine for the North West, but as one of its leaders for home or work delivery. 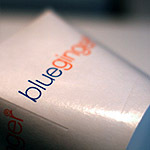 Blue Ginger has embraced the philosophy of fast and fresh oriental food with no added MSG! This has ignited the trend to healthier, fresher, non addictive oriental cuisine. Blue Ginger has achieved this belief with the result being excellent quality foods that tastes fresh and natural but still every bit as delicious. Our mission is that we ensure that all our customers receive or collect the healthiest and best quality food possible every time. Blue Ginger is now expanding to the Greater Manchester area with planned strategic growth in selected areas, our most recent addition in Fallowfield, with projects lined up for South Manchester and many more. We are fast becoming a name that is recognised and we are well on our way to being the leader in quality oriental food delivered to your door. 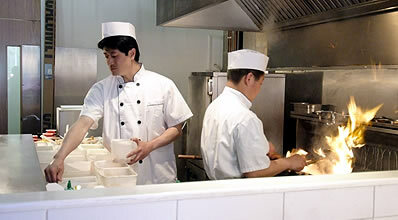 New and innovative dishes are being added to the menu to continuously provide customers with variety and excitement. Selected outlets are licensed so you can order wines, champagne and beers to enjoy with your meal or even without! Our food is packaged in personalised stylish containers and bags and delivered to your door in our Smart Cars by drivers who are employed by ourselves. Alternatively, for those who wish to call in to the takeaway, they will be met by friendly staff in very relaxed and contemporary surroundings. Image is everything so you will find that our shops are fitted out very similarly so you will feel the same sense of ease and welcome in any shop you visit. All our outlets are fitted out with the latest computer systems for efficient management and they are all connected to CCTV Web Cams located throughout the shop so that no matter where we are in world we can log onto any system to monitor the staff and what is happening in each shop at any time, to ensure that everything is running smoothly and efficiently which ultimately means you the customer is being well looked after. © Blue Ginger 2019. All rights reserved.